The attorney general of Maryland has opened an investigation of one of the Kushner family’s businesses of real estate following media reports that surfaced earlier in 2017 about the alleged abusive practices of debt collection and the poor conditions at several properties. Kushner Companies announced that it was cooperating with Brian Frosh the AG, the top legal officer in Maryland. The spokesperson for the company said that the company was in compliance with all local and state laws. An attorney based in Baltimore is working on this matter with the Kushner Companies, according to one source close to the situation. A spokesperson with the AG’s office did not comment when one was requested, citing an official policy of not confirming nor denying any investigations. This inquiry does not mean any charges will be eventually filed. This past spring and summer, reports by the media exposed alleged coercive tactics as well as inadequate maintenance for multifamily housing run by the an affiliate company of the Kushner Companies. Westminster, one of the affiliates, managed 17 properties across Maryland, including development located in Middle River, Essex and Baltimore, says its website. 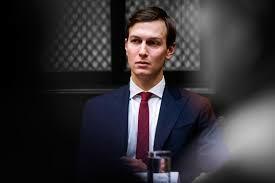 Kushner Companies came under the scrutiny and has remained there since the son-in-law of President Donald Trump, Jared Kushner, became part of the political scene, first as the confidant of Trump during his 2016 campaign, and now as a senior adviser at the White House. A financial disclosure form filled out by Kushner shows $1.6 million in income from Westminster. Kushner is married to Ivanka, Trump’s daughter, and resigned as the CEO of the family’s business last January and then recused himself from policy issues since he joined the White House administration. However, those things have not completely shielded the business from allegations criticism and conflicts of interest allegations from different political foes of the White House, as well as increased scrutiny by the press. In May, two media reports detailed the poor upkeep in development that Westminster runs, including failures with appliances, mouse and mold infestations amongst others. One of the reports documented unsavory tactics used in debt collection, as well as allegations that businesses affiliated with Kushner were Maryland’s most aggressive. Kushner Companies have defended the methods they use. The company’s CFO said the company follows guidelines that are consistent with standards in the industry and state law at the time of filing legal action. The CFO added that the company only resorts to legal action versus a tenant when it is absolutely necessary.